Fresh from his recent plans to defeat the Doctor in The Oseidon Adventure and The Light at the End and now he has a new one, to hypnotise Leela so she will kill the Doctor for him while she calls herself the 'evil one'. In the meantime, he's off robbing cruise ships. This is Nicholas Briggs best script so far and also the best story for Geoffrey Beevers as the Master. While this story isn't as dull as The Sands of Life, this story certainly won't set your world alight. It does have some real potential, proving that if she wanted too, Leela really could kill the Doctor in a way that Peri, as much as she probably wanted to, couldn't. But this idea just isn't exploited enough, it only shows half way through the story and it doesn't show the Doctor as vulnerable as he should be. This story could have been really tense, the Doctor VS Leela? It should have been wonderful, but it just isn't. Instead, its just business as usual, with the Doctor never in doubt that he will win in the end. It isn't really as character orientated as it could have been, apart from a tacked on piece at the end of the play. What was Leela's relationship was like with her father? How does it compare to her relationship with the Doctor? Especially given the recent tension between herself and the Doctor after the events of The King of Sontar. There isn't a lot from Geoffrey Beevers here but his material is a little better than it usually is and he has become one of the best Master's despite only being in The Keeper of Traken on the television. Its just disappointing that we know what a great actor Beevers is with a great range. This story is saved from awfulness from an interesting idea, (despite being greatly underused) and some good acting. That's something I suppose. 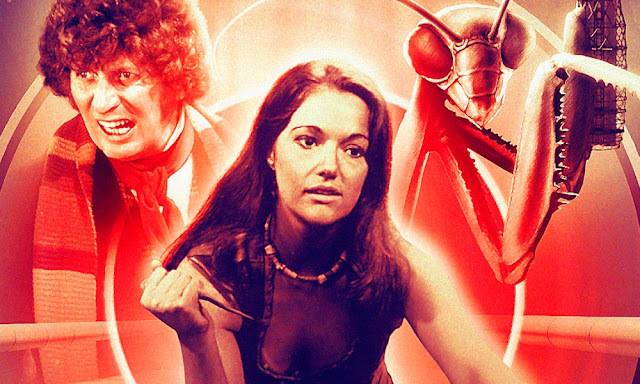 THE EVIL ONE WRITTEN BY NICHOLAS BRIGGS AND STARRING TOM BAKER AND LOUISE JAMESON WAS RELEASED BY BIG FINISH PRODUCTIONS IN APRIL 2014.